Welcome to Kindred Spirit Shilohs. 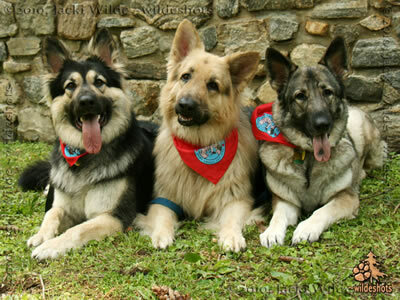 We reside in Hawthorne, New York with our three Shiloh's Kodiak, Bailey and Ty. Shiloh Shepherds are a magnificent breed with wonderful temperaments that make them great family dogs. As you explore our website you will see that our Shilohs are true family members. They live in our home as part of the family. Our Goal here at Kindred Spirit Shilohs is to produce beautiful, intelligent Shiloh Shepherds who are genetically sound, physically robust who will make exceptional companions in what ever capacity you choose. We will continue to strive on producing quality bred Shiloh Shepherds to maintain and improve on the standards established for this immaculate breed. Thank you for visiting Kindred Spirit Shilohs. Please check back often for updates and feel free to contact us with any questions you may have. Website Content Copyright ©2008-2017, Monica Popaduke, Kindred Spirit Shilohs, All rights reserved. Website Design/Programming Copyright ©2009-2017, Dog Breed Designs ~wildeoffice.